Get 10% off your initial design consultation or your first site visit. website: Click Here to Get Started! If you have a phone system that was created "in-house", chances are your leaving money on the table. Yes, great first impression makes a difference, but a well thought out phone system can drive customer awareness and product sales. A poor-quality phone system creates confused unhappy customers. Customers who don’t feel like their time or business is a priority. Customers who turn to easier avenues. Contact me today for help with all your phone system needs. We help provide a better retirement for employees by making it easier for employers. TAG Resources performs 99% of the administrative duties required for a company to offer a 401(k) to their employees. This removes the administrative burden from company employees and executives so you can focus on what’s most important — running your business. Because you don’t want to be 401(k) experts. Because the TAG Retirement Program, is built on an “aggregated” model – your company gains the advantages of economies of scale in pricing. Because you don’t want to overpay. The TAG Retirement Program allows a company to shift its fiduciary duties to TAG Resources, to the greatest extent permitted by law. This provides you company fiduciary support and helps defined legal obligations and responsibilities. This commitment by TAG Resources, provides for peace-of-mind that your fiduciary obligations are being met. Because you don’t want to be at risk. As of the 2015 Department of Labor random audit period, the DOL reports more than 67% of 401(k) plans failed their audit. * However, plans administered as directed by TAG Resources have never failed an audit. TAG is your 401(k) Support Staff, signs the Form 5500, and ensures each plan is consistently in compliance with the DOL and IRS regulations. If you are out of compliance, TAG is out of compliance – and that has not happened in TAG’s 15+ years of operation. Because You don’t want fines or penalties. *U.S. Department of Labor, Employee Benefits Security Administration, 2015. The TAG Retirement Program combines 3(16), 3(38), and TPA services for “end to end” retirement plan oversight. TAG teams with Transamerica as Recordkeeper, with $245 billion in assets serviced (as 12/2016) and with Mesirow Financial as the 3(38) Investment Manager with over $32.7 billion in assets under management and $30.8 billion in assets under advisement in fiduciary services (as of 6/30/2018). Because You want to partner with the best. ** Includes assets of Mesirow Advanced Strategies, Inc. (MAS) which was subsequently acquired by Lighthouse Investment Partners on 7/1/2018. Disclosures: This material is being provided for informational purposes only. It should not be viewed as an investment recommendation by Transamerica for customers or prospective customers. Customers seeking advice regarding their particular investment needs should contact a financial professional. The information expressed herein is for general information only and does not constitute legal, tax, securities, or investment advice. Investment Manager 3(38) services when offered are provided by Mesirow Financial Investment Management, Inc.
Mesirow Financial refers to Mesirow Financial Holdings, Inc. and its divisions, subsidiaries and affiliates. Advisory Fees are described in Mesirow Financial Investment Management, Inc.’s Form ADV Part 2A. Mesirow Financial does not provide legal or tax advice. Advisory services offered through Mesirow Financial Investment Management, Inc. an SEC registered investment advisor. David Packer is a Investment Advisor Representative offering Securities and advisory services through Cetera Advisors LLC, Member FINRA / SIPC, a Broker/Dealer and a Registered Investment Advisor. Cetera is under separate ownership from any other named entity. Let Checketts Amusements help make your next company party or event awesome. We've got FUN STUFF for all ages! 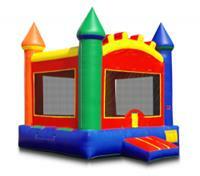 Inflatables, rides, games, tables, chairs, generators, and more. Go to http://www.checkettsamusements.com and use COUPON CODE CHAMBER35 to use your $35.00 chamber discount today! We are offering all Cache Chamber members a special 30% off our registration fee for the 2019 event. To register and receive the discount, visit our registration page at https://www.bikereg.com/2019cachegranfondousa and ENTER the following promocode: CACHECH2019 at checkout. it will take 30% off the registration cost, (jerseys are sold AT cost of only $35 each). As a special discount offered to Cache Valley Chamber of Commerce Members, enjoy a 90-minute Footzone session at 25% off. That's a $20 savings! Call/text Krista at 520-343-5630 or email krista@livegrowgive.org to set up an appointment today.